If you are looking for the lightweight and woven pattern of carbon fiber but don't really care for its steep price tag, you can get the carbon fiber pattern key shell with silicone key fob skin and never look back! 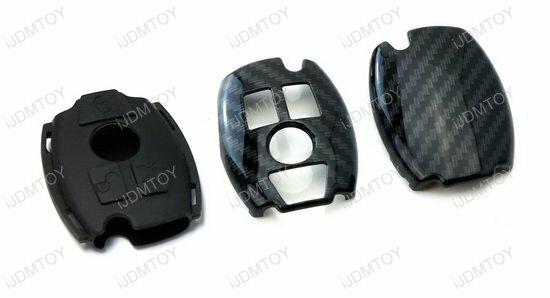 The carbon fiber pattern Mercedes key fob shell comes in three pieces, as well as a silicone skin. Each piece is made of plastic to give you a lightweight feel and has a glossy carbon fiber finish. You won't have to pay a premium to wrap your Mercedes key with the woven carbon fiber appearance! Included in the CF pattern Mercedes smart key shell is a silicone button skin that easily slips over your key fob. This key shell assembly combined gives your Mercedes smart key the ultimate protection from scratches, dents, drops, and other wear-and-tear damage! 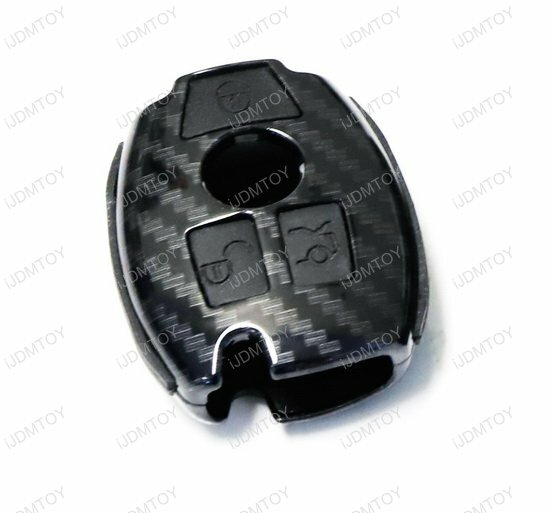 Notes: This plastic & silicone skin key fob shell is NOT made of real carbon fiber, but instead features a carbon fiber pattern. 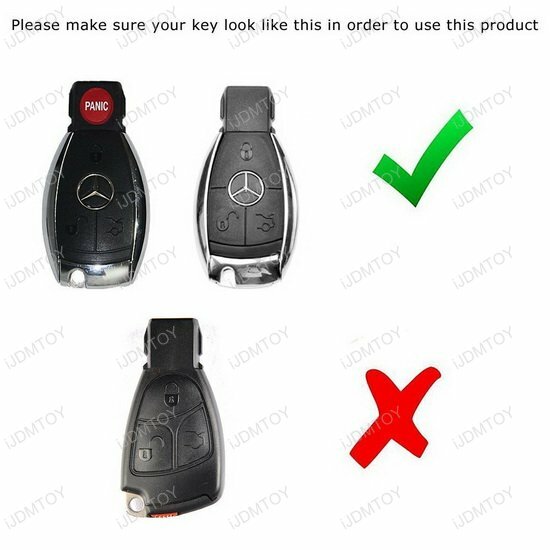 We highly recommend double-checking your smart key with the second gallery image's to make sure they match before making a purchase. This key fob shell will only fit in 2/3-button Mercedes smart keys. 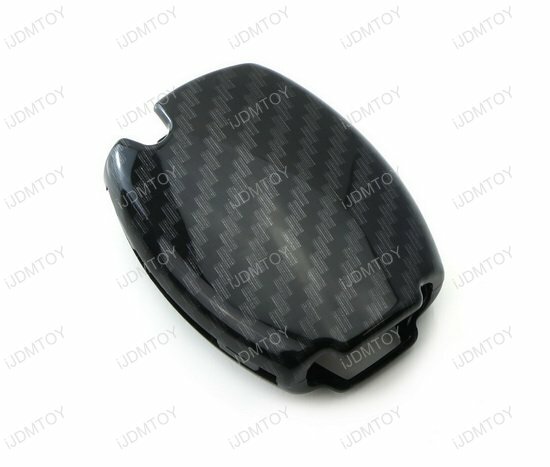 The keychain in the last gallery image is NOT included with this carbon fiber pattern key fob shell.